Jay Choi's legal practice is focused on representing U.S. and foreign businesses in the establishment of entities, governance, finances, mergers and acquisitions, and international commercial transactions. Jay frequently serves as outside general counsel for the U.S. subsidiaries of several Korean public companies and conglomerates. Jay's legal experience in various industries includes shipping and logistics, civil engineering and project management, real estate service industries, insurance, mining, financial services, automotive parts, electronic commerce and air services industries. Jay's international interests and representation of the Denver International Airport Authority facilitated Korean Air's decision to serve the Rocky Mountain Region in 1995. Jay represents U.S. entities in their efforts to expand operations in Asia; he consults with U.S. corporations in their U.S.-Korean strategies and legal and cross-cultural business issues. 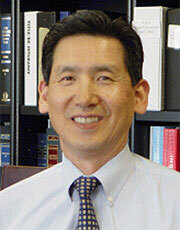 As a former U.S. member of the "U.S.-Korea Committee on Business Cooperation" established under the directive of the Presidents of the United States and the Republic of Korea, Jay represented the U.S. business community and advised the U.S. Department of Commerce in U.S.-Korea trade policy under U.S. Secretary Ron Brown. Jay is also active in civic and professional organizations. He serves as a board of director in Food for the Hungry US, Food for the Hungry International, and Global Connection International. He was a Chair of the Colorado Bar Association's International Law Section, one of five national Ambassadors of the American Bar Association Business Law Section, and served as a member of the Denver Mayor's Transition Committee. Other bar associations with which Jay is affiliated including the Asian Pacific Bar Association, and International Korean Lawyers Association. Jay is a graduate of the University of Denver, College of Law, 1988; Regis University (Master of Business Administration, 1982); and the University of Northern Colorado (Bachelor of Arts in Mathematics and a member of National Mathematics Honor Society, 1976); and a Certified Public Accountant (Illinois, 1983). He has been listed in Who's Who in the Legal Profession by the Denver Business Journal, and by Marquis-Millennium Editions 1999 to 2004. Jay has also spent eight years in business management in both large and small U.S. corporations before entering the legal profession. In 1987, Jay clerked in the (then) largest international law firm in Korea and spent a summer at the University of Tokyo studying the Japanese legal system. Jay served as a staff editor on the Asian Pacific Lawyer's Association Journal (No. 3) overviewing "Economic Law in China's Open Coastal Cities" as well as serving as a legal article writer covering U.S. issues in the Korea Times (Han Kook Il Bo) (1994-1997).